We developed an eight-lesson internet-delivered CBT (iCBT) program targeting anxiety and depression in early-stage cancer and cancer survivors. To explore the acceptability of the program, we showed volunteers the first two lessons and asked for their views. Focus groups (n = 3) and individual interviews (n = 5) were undertaken with 15 participants (11 survivors) with mainly breast (11 of the 15) cancer, who had reviewed intervention materials. Participants were asked to consider the acceptability of the iCBT program content and implementation design (timing, duration). Semi-structured questions guided discussion. Thematic analysis was conducted of participant reactions to the acceptability and/or suitability of materials created for use in a psychological intervention. We took a data-driven (inductive) approach to semantic theme development across the data set. Participants reported high acceptability of the internet delivery format, good engagement and user-friendly material. 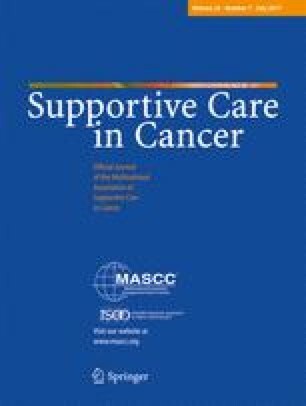 Participants were broadly supportive of combining depression and anxiety iCBT resources for early-stage cancer patients and survivors. Participants further indicated that a separate course would be needed to address the needs of patients with advanced stage disease. Participants welcomed the general development of an internet-delivered CBT intervention program to treat patients with clinical depression and/or anxiety. Furthermore, the sessions reviewed were highly acceptable to all participants. Study findings informed researchers on the development of iCBT resources for the cancer community. The online version of this article (doi: 10.1007/s00520-017-3617-8) contains supplementary material, which is available to authorized users. The iCanADAPT Early program was developed as part of the Anxiety and Depression Pathway (ADAPT) Program, led by the Psycho-oncology Cooperative Research Group (PoCoG). Members of the ADAPT Program Group have contributed to ADAPT activities and resources. The authors would also like to thank the consumer representatives (JCAG members) who reviewed the material. Funding for the Anxiety and Depression Pathway (ADAPT) Program was provided by a Cancer Institute NSW Translational Program Grant (ID 14/TPG/1-02). Dr. Murphy is supported by a 2016 NSW Institute of Psychiatry Research Fellowship. Dr. Newby is supported by an Australian NHMRC Early Career Australian Clinical Fellowship (1037797). Prof Butow is supported by an NHMRC Senior Principal Research Fellowship. The study was approved by St Vincent’s Hospital Human Research Ethics Committee (LNR/15/SVH/333). Funding for the Anxiety and Depression Pathway (ADAPT) Program was provided by a Cancer Institute NSW Translational Program Grant (ID 14/TPG/1-02). Dr. Murphy is supported by a 2016 NSW Institute of Psychiatry Research Fellowship. Dr. Newby is supported by an Australian NHMRC Early Career Australian Clinical Fellowship (1037797). Prof Butow is supported by an NHMRC Senior Principal Research Fellowship. There is no conflict of interest between these funding opportunities and the research outcome reported. The corresponding authors have full control of all primary data and agree to allow the journal to review the data if requested.